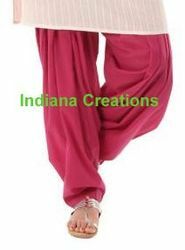 We have Patiala Salwar in various colour. 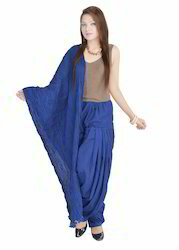 This Patiala Salwar made by Cotton Voil Fabric with 3.50 meter Fabric. It can be use with Kurta & Tunic. For made to order quantity is 100 Pcs in one colour one design. Wholesale Price is 260/- for Plain Dyed Patiala & 292/- for Printed Patiala. Offered to the clients in several sizes and at the best price possible, the offered Patiala Salwar for Women. Designed attractively by some of our highly skilled professionals, the offered Patiala contributes to the elegance of the one wearing it. Its elegant design is highly praised in the market. Packaging Details: 1 piece packing. Offered to the clients in several sizes and at the best price possible, the offered Beige Patiala Salwar is much sought after by the customers. 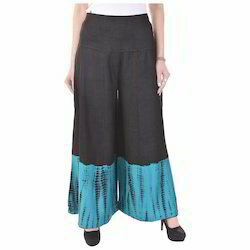 Manufactured using the finest fabric that is available in the market, the offered product is known for its comfortable fitting, high colorfastness and shrink resistance. 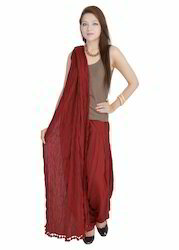 Further, this patiala salwar has a simple but elegant look, making it suitable for casual wear. 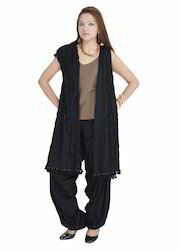 100% Cotton Patiala Salwar in Solid Black Color. Offered in the market at competitive prices, this Cotton Patiala Salwar offered by us has a high preference among the customers. Designed attractively by some of our highly skilled professionals, the offered Patiala contributes to the elegance of the one wearing it. Owing to the high-grade raw materials that are used in its creation, its resistance to fading and shrinkage is quite high.